Despite perceived perceptions in the media of a potential oversupply of apartments and a poor performing property market, Melbourne market fundamentals are strong and are set to experience a shortage of apartment stock from 2019 onwards. Melbourne’s suburban residential property market is moderating after experiencing strong growth for the last five years. The sub 50% auction clearance rate is a clear indicator of the softening of the market, however house prices in some areas have begun to decline but not across the board. Premium dwelling values in the South East have experienced greater decline than affordable housing stock. For new housing market, off-the-plan (OTP) sales rate has also slowed down considerably since the government removed the OTP stamp duty concession for investors, increased the foreign purchaser additional duty to 7% as well as a tighter credit environment in Australia and tighter capital control in China. However, it is not all doom and gloom as what has been seen in the mainstream media. Unprecedented population growth and a decline in new housing supply indicates a positive market outlook for Melbourne, especially for the inner city apartment market. Melbourne has added 1.1 million people over the last ten years (ABS). Since becoming the world’s most liveable city for seven consecutive years, Melbourne is now the fastest growing city in Australia. Both overseas and inter- state migration are driven by Victoria’s robust economy and employment. Melbourne CBD is the Victoria’s employment hub as well as an education centre which two international renowned universities, namely University of Melbourne and RMIT are within walking distance to the CBD. Since 2010, Melbourne CBD has undergone an apartment construction boom to meet the demand for inner city apartment living. Due to planning policy changes, soaring construction costs and softening of the market in the last 12 to 18 months, development approvals are much lower than previous years. BIS Oxford Economics forecasts that Melbourne will continue to experience a shortage of housing supply as record population growth continues to drive demand for housing while Melbourne apartment supply pipeline shrinks. As new supply is constrained down the track, Melbourne’s strong rental market is to be continued. High demand from population growth will keep pushing rents higher whilst rental vacancy rates remain at all time lows. The situation is further exacerbated by an influx of short stay apartments which are withheld from the traditional rental market supply. RDI Report shows that in Victoria there is a moderate undersupply of approximately 9,000 dwellings available for occupation last financial year. In contrary to the subdued suburban housing market, apartment market is set to take off as rents will continue to soar and the demand and supply gap widens in inner Melbourne areas . a large proportion of first home buyers. Most first home buyers choose to live near the CBD or where they study or work. Three bedroom apartments are also becoming more popular amongst buyers as a lot of young families are also opting for apartment living due to convenience. High rental return and tax benefits remain the key reasons for apartment investors. Buyers want a place where the end user of the apartment would want to live, whether they are owner occupiers or renters. There are two mixed-use developments in Melbourne that encompasses these extras, namely, Aurora Melbourne Central by UEM Sunrise in Melbourne CBD and Melbourne Square by OSK Property in Southbank. Aurora’s direct access into Melbourne Central train station and the CBD shopping district has made it one of the most successful residential developments in the CBD. OSK Property’s Melbourne Square is the largest mixed- use urban precinct which sits on a 2.2 hectare site in Southbank. Once completed, Melbourne Square will comprise of four residential towers, a five star hotel, an office building with blue chip tenants, a childcare centre and a full-line Woolworths supermarket that is directly underneath Stage One residential towers. Currently Stage One is more than 70% sold and it is well under construction due for completion in 2020. As new supply is constrained down the track, Melbourne’s strong rental market is to be continued. High demand from population growth will keep pushing rents higher whilst rental vacancy rates remain at all time lows. Many developers are not able to start construction without bank funding which creates uncertainty for buyers. Melbourne Square buyers know they will have an apartment in two years time given the it is already under construction. In the current market, developers need to ensure each project has a unique selling point that is appealing to the target market and its end users. Buyers now are more astute than ever, educating themselves on the market well before initial enquiry. However projects that are equipped with correct product positioning, realistic pricing, versatile sales strategy and most importantly a good sales agent will surely be a successful one. Mayland Property Group specialises in providing a holistic approach to residential project sales, marketing, settlements and investment insights of the Australian real estate market. Our highly experienced team have a combined total of over 50 years’ experience operating in Australian residential project sales – apartments, townhouses and house and land. 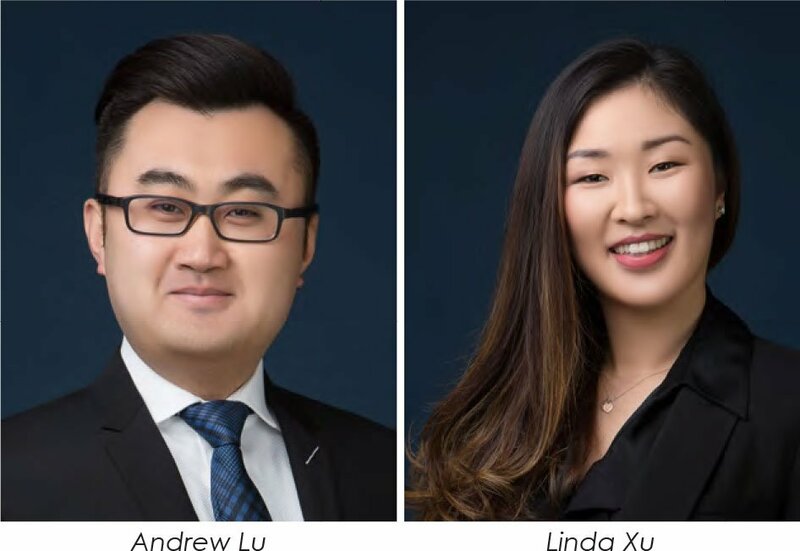 Contact our Director Andrew Lu +61 458 888 678 and Linda Xu +61 400 662 336 on how Mayland can assist you with your current and future project sales.